Amazon corporate siblings The Washington Post and Twitch are getting together. The newspaper now has a channel on the livestreaming service for gamers, and it will feature live event coverage hosted by Post on-air reporter Libby Casey, as well as Playing Games With Politicians, a series hosted by Post political reporter Dave Weigel. 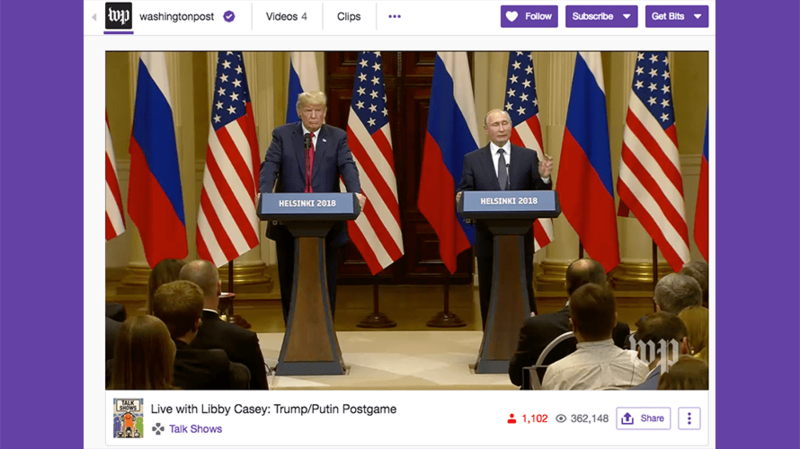 The Post will livestream coverage of news and political events via its Twitch channel, starting with Casey hosting a livestream Monday while President Donald Trump and Russian President Vladimir Putin meet for their first bilateral summit. She will be joined by White House reporter David Nakamura and audience editor Gene Park. 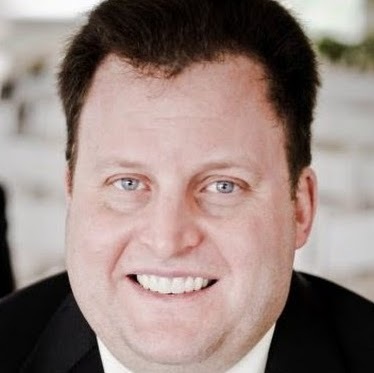 As for Playing Games With Politicians, Weigel will interview politicians while they are playing video games, and the first installment will feature Sen. Cory Booker (D-N.J.), Rep. Suzan DelBene (D-Wash.) and Rep. Matt Gaetz (R-Fla.). The new channel does not mark the newspaper’s first encounter with its livestreaming sibling, as the Post presented more than 10 hours of programming on Twitch in April related to Facebook CEO Mark Zuckerberg’s hearings on Capitol Hill.